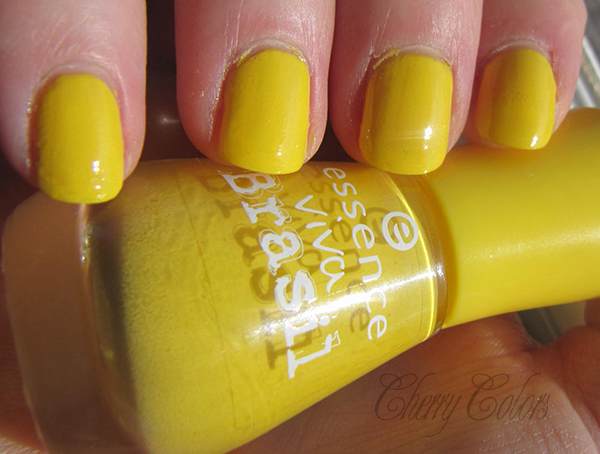 NOTD: Essence Yeah, Copacabana (Viva Brasil TE) - Cherry Colors - Cosmetics Heaven! I am excited to show you (still in time for the Football world cup 2014!) 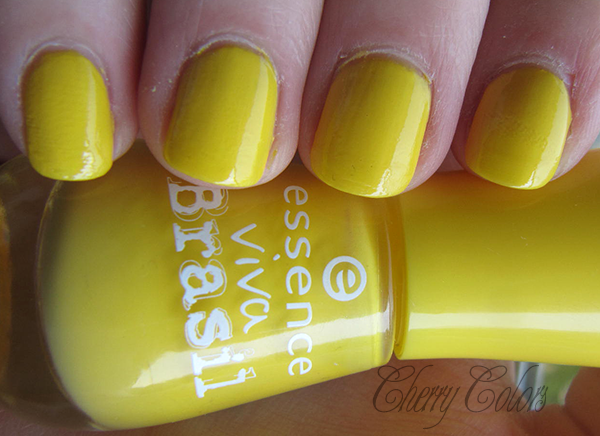 a yellow nail polish that not only is gorgeous, but it comes at a nice price ;). We all know how kind Essence is with their prices, no? 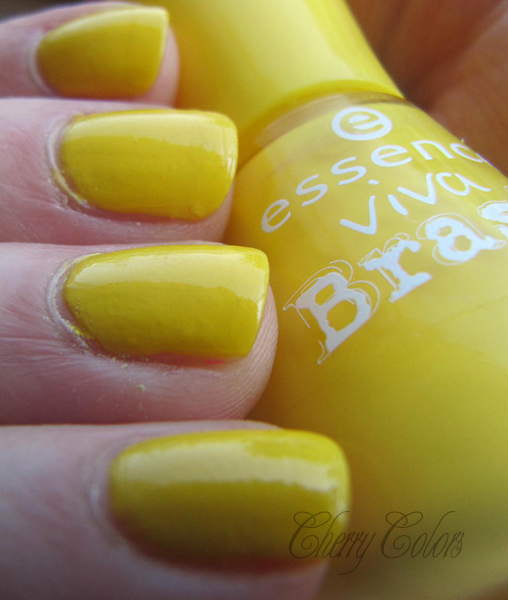 This beauty is part of the Viva Brasil trend edition and is just a perfect cream yellow. I had absolutely no problem with the application or drying time. I needed two layers for full opacity. No white nail polish underneath. It took about 20 minutes to dry completely (10 minutes between each layer). I am usually not a fan of yellow nail polishes (until recently I thought they look gross.. you know like fungus?? ), but this just got me. It is so.. sunny! I missed a regular cream yellow nail polish in my collection, so I had to have it. The pictures were take in the shadow and sun on a lovely sunny day (just as this nail color)... I am a bit cheesy, I guess that's what staring at a yellow nail polish does to me. Also sleep deprivation, yes. 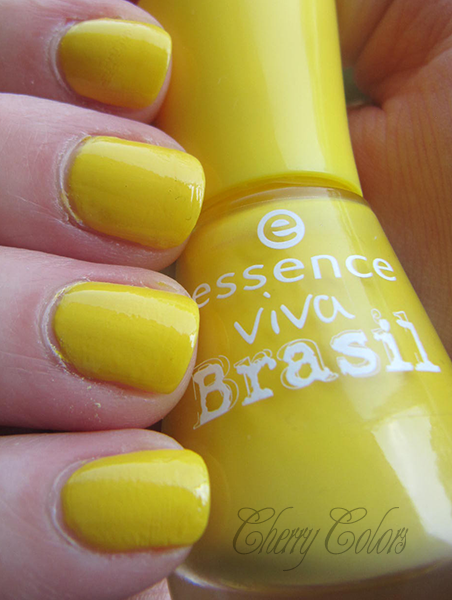 Which nail polish from the Essence Viva Brasil is your favorite?